The Red River Star is a Qeen Size expansion of the Tarnished Windmill design, originally published in 2015. 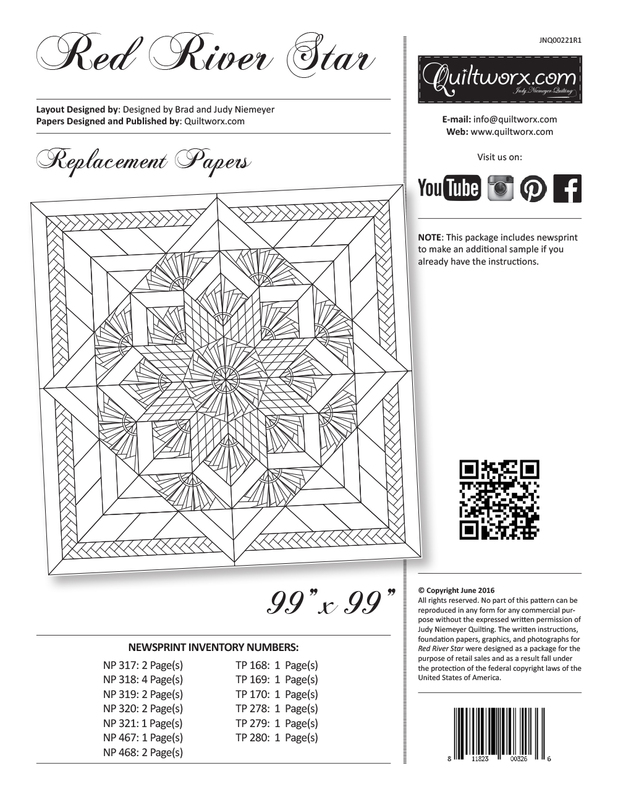 The pattern incorporates foundation paper piecing and was designed by Bradley and Judy Niemeyer. It teaches Quiltworx.com’s latest strip piecing technique for completing lone star units whereby strips are sewn onto foundation paper to complete what we call a ‘Strip Set’. After the strip sets are completed, they are cut apart, rearranged, and resewn into a diamond star point. The technique evolved from seeing some common assembly approaches between the Summer Solstice and Bali Fever Backgrounds. Judy began experimenting with ways to speed up the creation of a lone star block with a strip to eliminate cutting, while also minimizing fabric waste. The lone star block in this pattern was designed using 3” strips for the strip piecing. It incorporates a series of Windmill blocks as well. The general assembly process was designed with no Y-Seams. 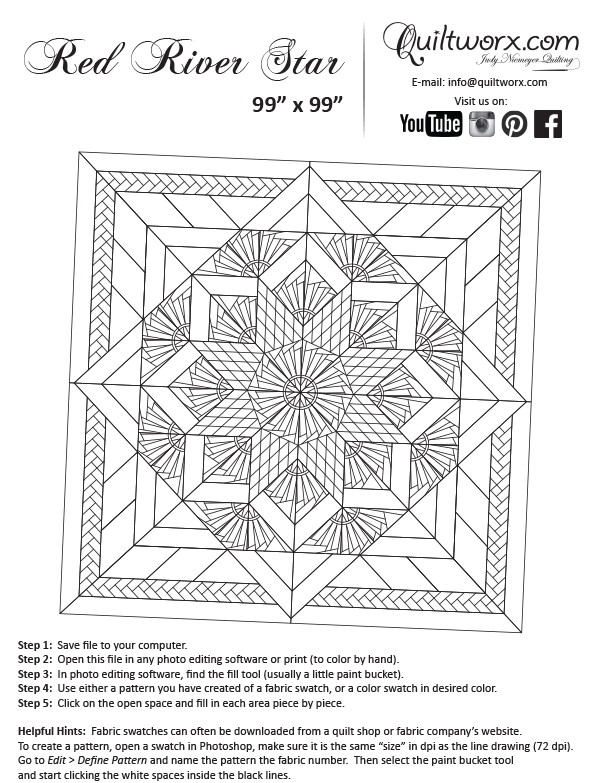 It is also an incredibly efficient quilt for 99” x 99”, using around 19 yards of fabric. 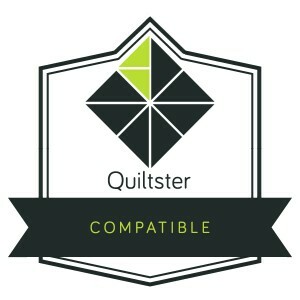 The quilt on the coversheet was pieced and quilted by Quiltworx.com. 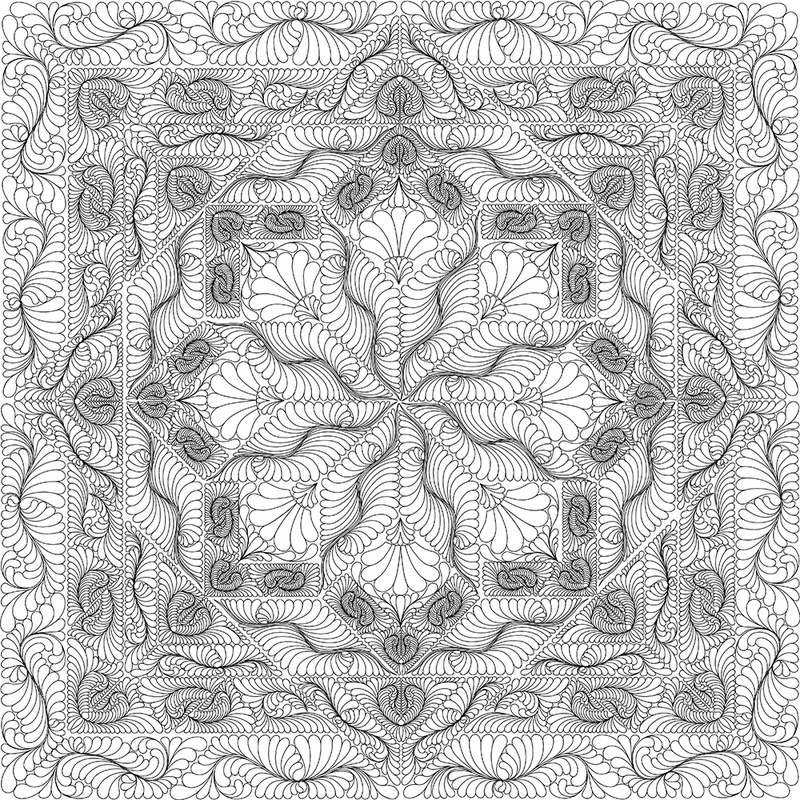 A digitized Quilting Design is available. Marla Willier OMG I love love this one! Diane Michal LOVE the color palette! I want to do Weathered Windmill in these colors. Sylvia Salazar Monkres A beautiful and unique work of art. Juanita the quilt is as impressive as it is extraordinary. Many years ago my grandmother inspired me to follow in her footsteps of quilting but I didn't follow through and now you have renewed that interest!. Jacquie Gross What was the finished size? It looks like it might fit a king bed. Victoria Rondeau Who quilted it? Suzanne Lindsay That quilt is gorgeous up close! Way to go, Juanita!! You're such a star!! Darv And-Pamela Andersen She SHOULD have, too! Look at that quilting accentuating her color choices and work! Catherine Smith WOW! You must have been SO EXCITED! Good for you! Dianne Denhem Congratulations, Juanita. Your quilt is exquisite. Peggy J Hansen Great job, beautiful quilt!!! Peggy Baker Love the quilting too. Donna Kotlarz Gorgeous great work. 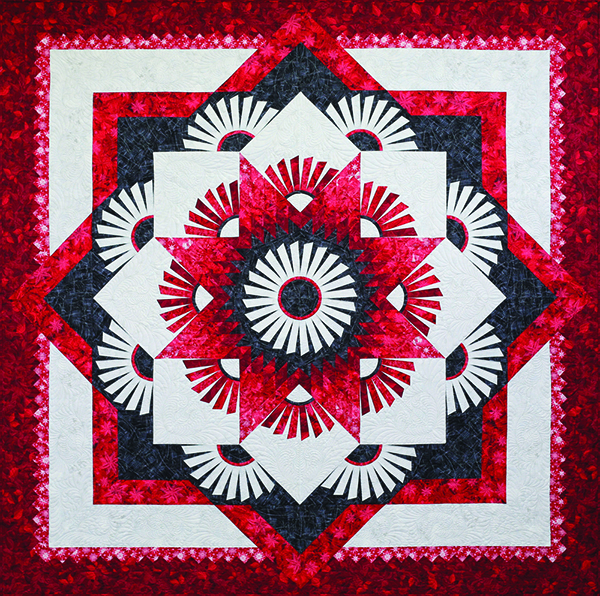 Liz Loewen Hiebert Would be a great quilt using Canada's 150th birthday fabric. 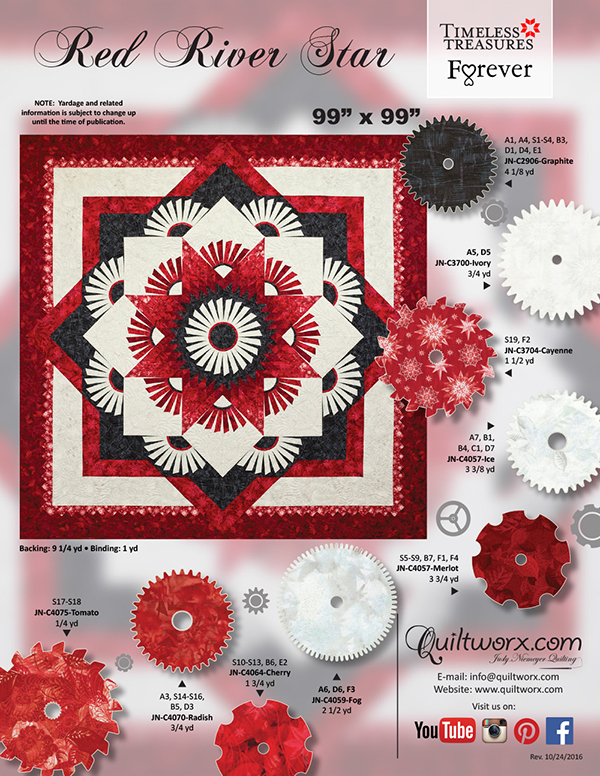 Jenny Beasley I've made several Quiltworx patterns & love them. This pattern I've found to be most confusing due to changing the bags from numerical to alphabetical (D3 goes in D2 bag, etc). Sorry, there are no classes scheduled for Red River Star at this time.